Fans of AMC’s The Walking Dead have continually experienced a roller coaster ride of ups and downs, and the end is still nowhere in sight. Frank Darabont started as the show’s head-honcho for Season 1, but after a strange announcement, Darabont was fired and current showrunner Glen Mazzara was left to guide Rick and his crew to even higher levels of popularity starting with Season 2. While absolutely killing competition numbers wise, viewers complained about poor pacing, during Season 2 especially, but it was under Mazzara’s nurturing vision we were blessed with a much wanted increase in action from Season 2’s ending until the ongoing Season 3. Well fans, here comes more good news, and of course more bad news. It can never just be good, can it? Alright, I’ll be nice and start with the good – Season 4 of The Walking Dead is a go. Yup, renewed and everything, and why wouldn’t it be with 10.5 million viewers tuning in for the December 2nd mid-season finale? AMC isn’t dumb enough not to gamble on another brain munching season, especially considering Mazzara’s show remains one of the most popular shows on television. Glen guided the series creatively for seasons 2 and 3. AMC is grateful for his hard work. We are both proud of our shared success. Both parties acknowledge that there is a difference of opinion about where the show should go moving forward, and conclude that it is best to part ways. This decision is amicable and Glen will remain on for post-production on season 3B as showrunner and executive producer. As someone who adores the comics and has had numerous qualms with the television adaptation, and still does honestly, Mazzara leaving now doesn’t instill promise for Season 4. Again, this is my personal opinion, but Season 2 was a sleep-inducing bore until about three episodes remained, it was at that point that Mazzara finally found his stride and closed Season 2 out with entertaining momentum – which hasn’t stopped yet. Season 3 is his best work yet on the show, introducing The Governor and shaking the cast up, and for the first time I’m actually looking forward to another half-season’s worth of zombie mayhem. The question I’m forced to ask about the above statement is simple – what differences? Does AMC want to tone down the horrific gore and zombie elements while Mazzara wants to blaze forward, pushing boundaries every step of the way? I’ll admit, recently a few head-squashing kills and character deaths impressed this horror fan with visual brutality I thought too intense for TV. No news yet on who will take over for Mazzara, and hell, this could even be a positive change, but for now, all we can do is wait. Season 3 returns in February, and barring any decline in quality – which seems unlikely as the second half of a season always kicks it up a notch – you can expect fans of The Walking Dead to remain skeptical about a new showrunner. For now, just take solace in the fact there’s already a Season 4 in the works, and remain optimistic that whatever ringer is brought in has a glorious understanding of where the show could ultimately go. But enough of my rantings, what do you fans think about the news? Season 4, yay! 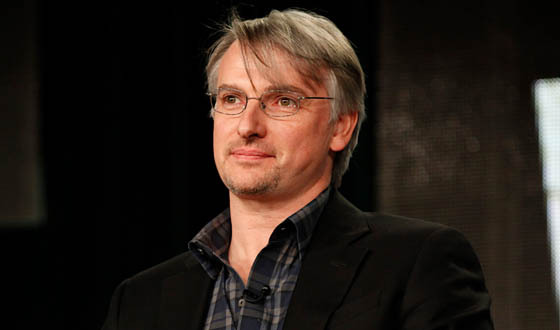 Glen Mazzara leaving, boo – or yay? Feel free to address concerns in the comments, or let me know if I’m being too over-analytical with such little information.